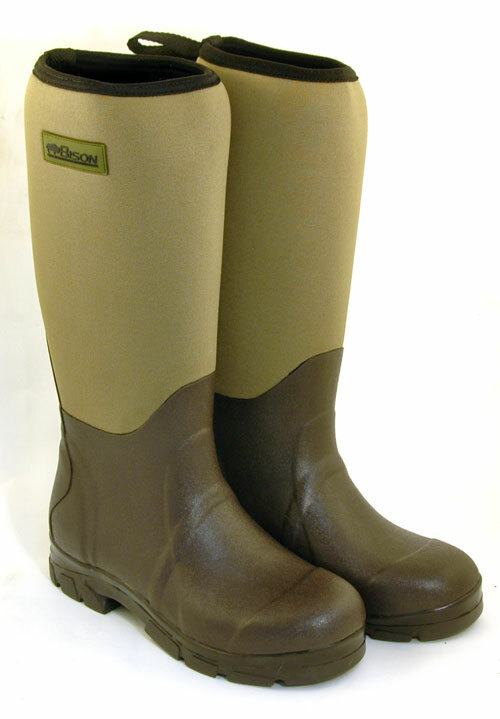 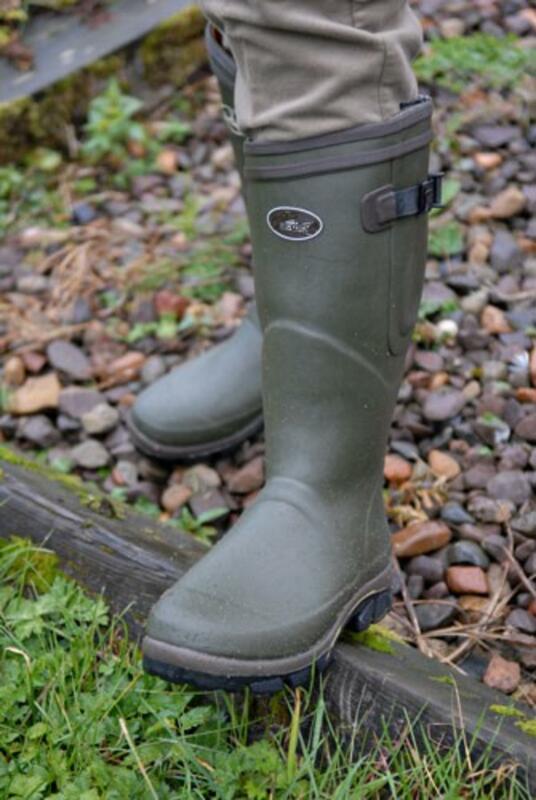 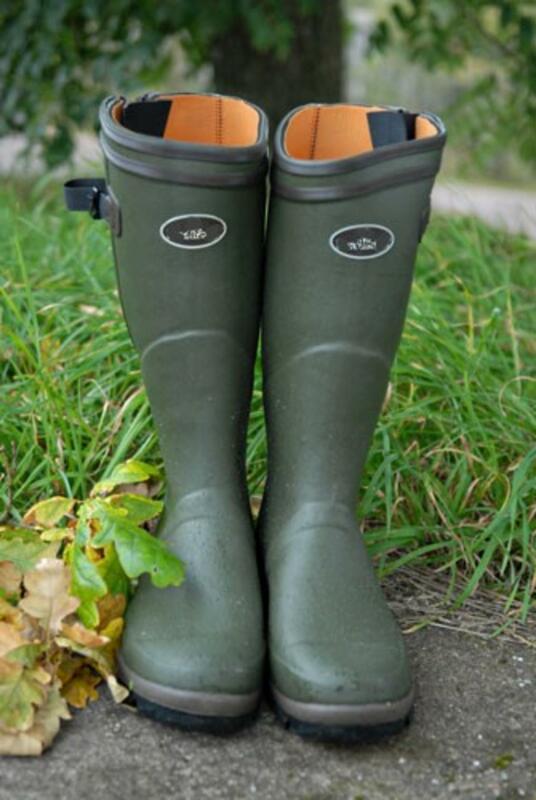 Wellington boots are made in a nylon rubber mix with an economy boot made from high nylon mix giving around 15,000 flexes on the quality control machines before showing signs of wear ,High end boots have a high natural rubber content and give the maximum 100,000 flexes before being showing damage . 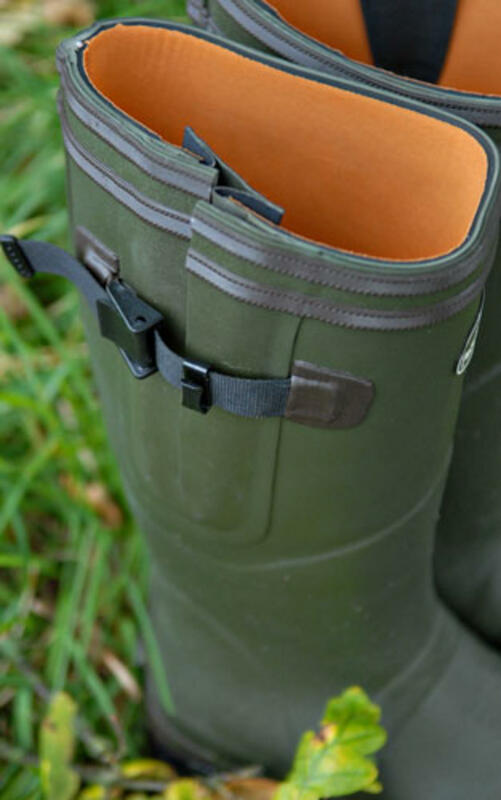 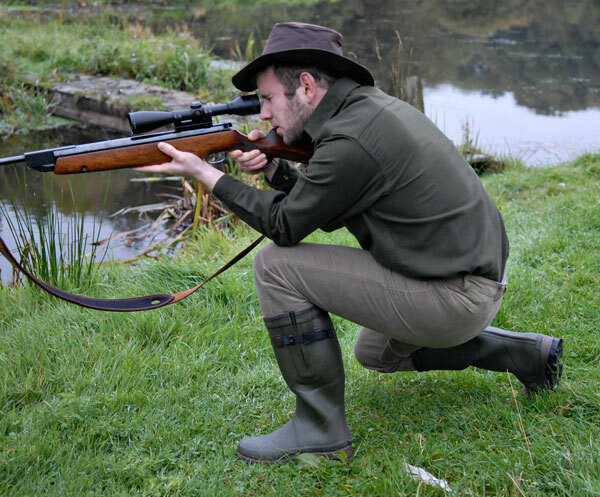 These neoprene lined wellington boots are a premium high performance knee length hunting boot with 4mm neoprene lining, provides first-rate insulation against the cold and superior comfort when walking. 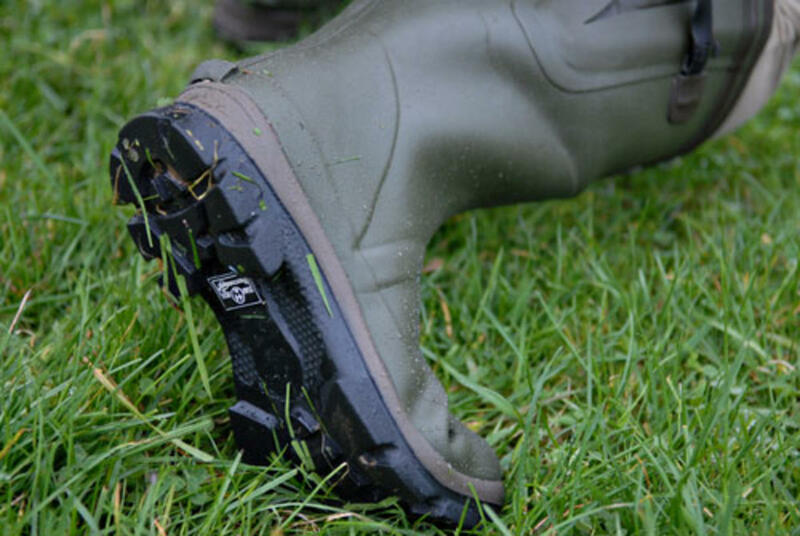 adjustable gusset and hard wearing rubber outsole for grip and protection. 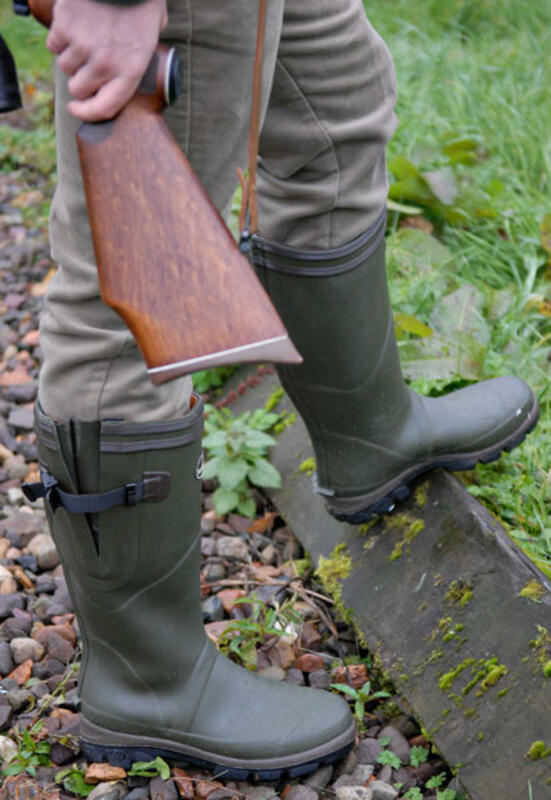 These classic French designed neoprene boots are made using only the finest material and specific compositions to ensure maximum durability and performance. 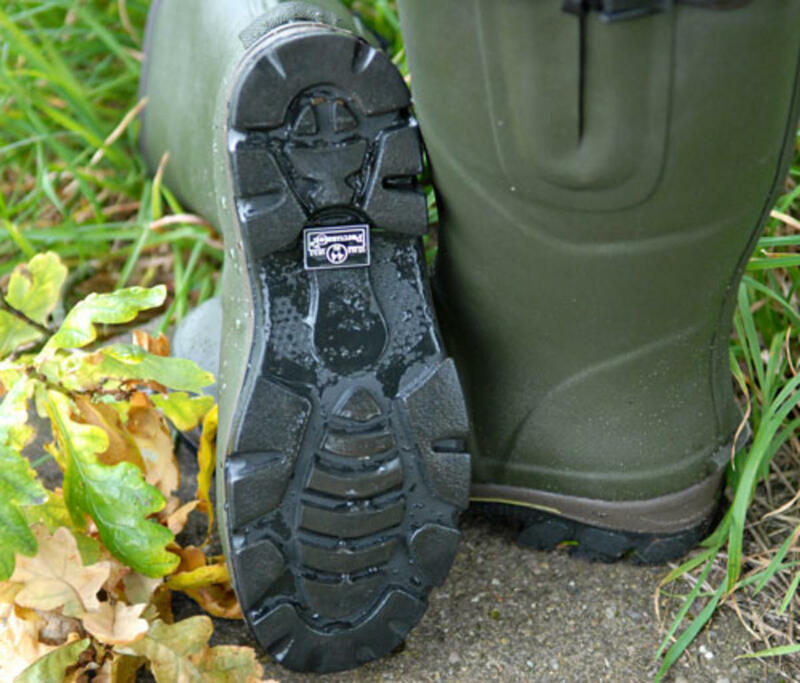 Gusset and snap-fastening buckle eases entry into the boot and tightens around the calf.